There’s no better advert for our business than our fantastic cleaners. We value every single one of our expert team members and we reward them handsomely for the great service that they provide our clients with. We aim to provide a rewarding and welcoming environment for our staff, allowing them to take pride and satisfaction in the job they perform, guaranteeing that they stay with us for the forseeable future. 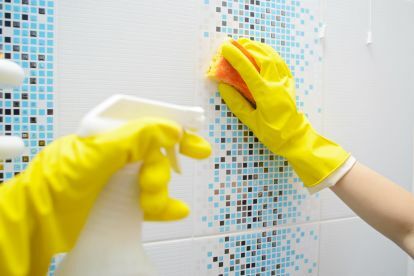 Whether you contact us by phone or email, we can provide you a full consultation on the types of cleaning we provide, and can consider which services will be most suitable for you. With our high rate of customer satisfaction, we strive to deliver excellent quality services that would never let you down. At Celestial Cleaning Service, we remove the pain out of cleaning. Whether you’re looking for a domestic or office cleaning service, our trained cleaners work to the pinnacle standard and will leave your home or office sparkling. We also offer a range of specialist cleaning services, including end of tenancy cleaning, after party cleaning, and carpet cleaning. Call us today on 07557916313 to discuss your cleaning desires. Thank You Leanne for a brilliant service, Quality cleaning and very trustworthy, would definitely recommend to any of my family and friends. Absolutely Amazing! She's been so helpful for my mum, She has gone the extra mile. Not just any old cleaner. Thankyou! I would highly recommend Hay's Cleaning Service. Leanne is really friendly and trustworthy. Nothing is ever to trouble. The place is spotless once she's been. She's a gem. Please note that Celestial Cleans may not be able to honour booking requests made.